The Beco Gemini is a little bit magic. It’s a carrier that has really grown on me. When I first got this carrier 2.5 years ago I didn’t have a child who fitted it (Tom was too big and Rachel hadn’t even been conceived yet). Trying with a doll I simply thought “yeah, its fine”… but over the years seeing this carrier on other parents and then later wearing it myself with Rachel I have come to realize why this carrier is fantastic… simply put it’s because the shoulder straps and waist band don’t match. 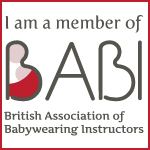 That probably sounds a bit odd, but let me explain… Almost all buckle carriers can be divided into 2 groups based on the thickness of the padding of the straps – a) carriers with light, soft or even no padding and b) carriers with relatively thick, firm padding. Likewise, for virtually all of these carriers the padding level is similar on both the shoulder straps and the waist band. I.e. carriers like the Ergo and Lillebaby carriers have thickly padded shoulder straps and firm thickly padded waist bands, while light weight carriers like the Izmi or Connecta have no padding or only very light soft padding across both the shoulders and the waist band. The Gemini, however, defies classification into one of these two groups because it has firm, thick padding at the waist band but soft light padding at the shoulder straps. This padding ‘mismatch’ is just magic! And works for so many parents. Usually when helping parents find the right carrier for them I start by getting them to try first a thickly padded carrier and then try a very lightly padded carrier. Some parents then decide they love the supportiveness of firm padding and we try more thickly padded carriers. Others decide they like lighter weight more form fitting carriers and we instead try more of that type. Then there is a significant subset of parents who tell me they like the firm waist band of the carriers with thick padding but they find it too much on their shoulders, but then when they try a lighter weight carrier they like the feeling on their shoulders but don’t like the more flimsy waist. For this subset of parents the Gemini is almost always just perfect. A true Goldilocks carrier – firm enough on the waistband to feel supportive for hours, while still being soft and light on the shoulders and not feeling at all bulky. Another reason its so often a winner, is that the Gemini is a very easy, very unfussy carrier. It doesn’t have loads of bits and bobs to adjust and fiddle with. No features, no pointless pockets, no hood, no multiple points of adjustment to faff around with. Just click, click and go. What it does have, however, is 4 carrying positions. You can carry baby on your front facing you, on your front facing outward, on your hip and on your back. This carrier is weight tested from 3.2 to 16 kg (7 to 35 lb) and is one that realistically works well with a newborn all the way through till around 18 months to 2 years. A lot of this flexibility comes from the fact the ‘seat’ of the carrier has two settings – a narrow seat and a wider seat. The wider seat does inward positions (front, hip and back) from about 4 months onward (depending on the size of the baby), while the narrow seat accommodates younger babies while parent facing and allows older babies to face outwards comfortably. Adjusting between the two seat settings is ultra simple it simply fastens into either position using poppers. This makes the Gemini one of the few adjustable carriers that can be switched from facing in to facing out (or visa versa) with just one hand if need be! The poppers also do up independently on either side so I’ve even used this carrier in additional needs situations, including once with a baby who was in a leg cast – the poppers meant we could use the wide seat on one side to support the uninjured leg, but reduce the width on the side with the cast to ensure the carrier didn’t put pressure on the cast itself. Which makes this an incredibly flexible carrier that will grow with your child and adapt to their needs whatever they maybe. Its also flexible for the parent – offering both ruck sack style straps and the ability to cross across the parents back. Most people usually have a strong preference for one or the other and often one parent will prefer crossed, while the other prefers ruck sack. So its great the Gemini offers both! It is worth noting that compared to other similar carriers – like the Ergo Omni 360 and the Lillebaby Complete – the Gemini doesn’t last as long. While those will take to 2.5 years ish, the Gemini will often only last till around 18 months to maybe 2 years depending on the size of your child. It’s certainly not the best when it comes to longevity. This isn’t really a criticism as part of the appeal of this carrier is that it is smaller and the reason it works really well for newborns (or babies in the 2-3 month age range who are often between settings in a lot of other carriers) is because it is a smaller carrier. And many parents find themselves carrying less around then anyway or are very happy to move onto a toddler carrier that stage. But it is worth noting if you have a child who is tracking the upper percentiles on height and weight. However, if that is the case… the Beco 8 can be a great option, as the 8 is in many ways the Gemini’s big brother – a very similar but bigger carrier. I have just one gripe with this carrier. The safety buckles. Until you are used to them they are a bit of a pain to undo, especially the ones on the shoulder straps. I find most people get used to them after a few goes, while a small number just find they can never get on with them!! However, I know this is something Beco have actually taken on board and these are being fazed out over the next year or so, and being replaced with standard buckles. Which is great news! So all in all, the Beco Gemini is a fantastic carrier, offering multiple carrying positions and super flexibility of use combined with a firm supportive waist band with light soft shoulder padding. It comes in two main finishes – a standard cotton version and a lighter cooler mesh version called the Gemini Cool, which cost £99.50 and £105 respectively. Both are available to purchase from Sheen Slings at sling library meets, consults and workshops (or please get in touch for a doorstep collection or even postage).